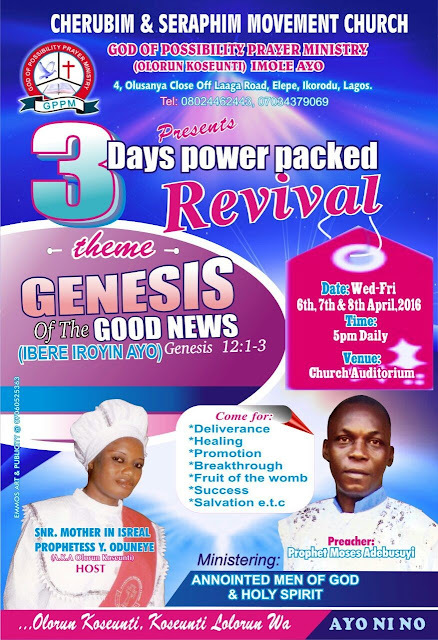 Publicizing the Good News... From GPPM Ikorodu, Lagos. God Bless You as you come. Amen. DejiKing Entertainment: Publicizing the Good News... From GPPM Ikorodu, Lagos.